Happy Birthday to one of our favorite Brighton jewelry collections, Christo! We are celebrating Christo's first birthday by giving you a behind-the-scenes look at the new line. Christo by Brighton is a must-have for every woman. The cuff features interchangeable and reversible leathers which allow you to transform your look instantly. You can even sport them without the leather for a super sleek look. This collection allows to effortlessly style your outfit and add a pop of color to your look. Brighton designer Kim Cruser-Scott was inspired by architectural details from cities throughout the world when she designed these ultra versatile cuff bracelets. Sparkle in blingy cuffs with Swarovski crystals, each one set by hand. The Crystal Christo collection features 8 cuffs inspired by the great waterways around the world. They feature channels of Swarovski crystals in unique designs. 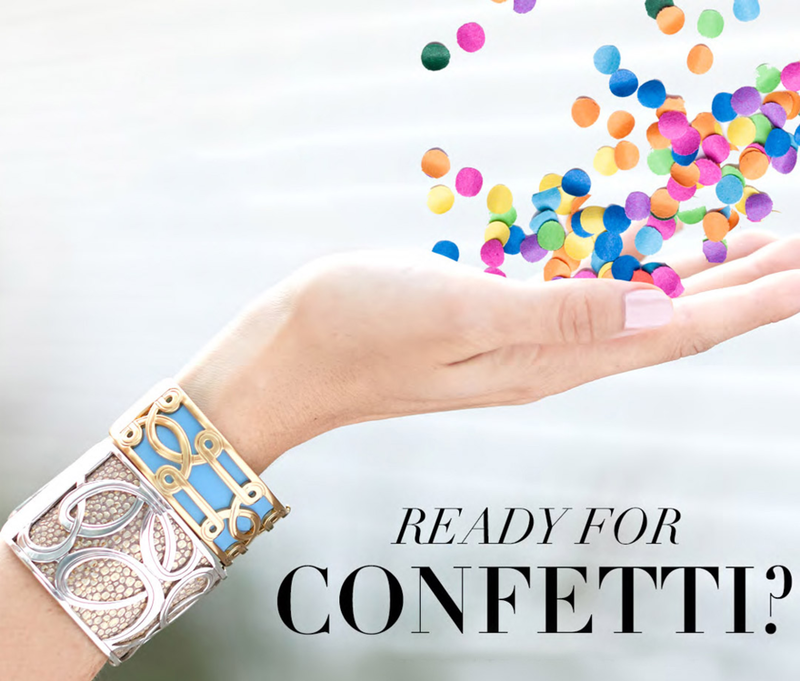 Wear this "goes-with-everything" wide cuff bracelet alone or pair it with one of our reversible leather inserts for 2 new looks! The Ganges (GAN-geez) Christo Cuff is named after the Ganges river in India. It is the most sacred river to Hindus and it is worshipped as the goddess river. 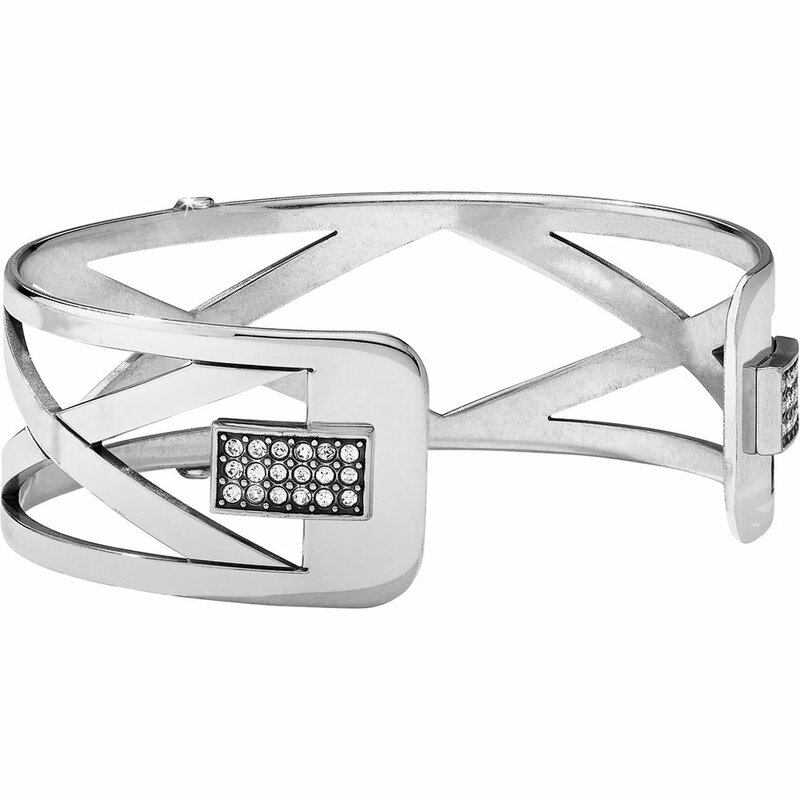 The inspiration for the Nile Christo cuff was taken from the Nile river. The Nile is considered the longest river int he world, spanning 11 countries in Africa. Beadazzle in new, hand-headed leather inserts from master craftsmen in India. Meet your Match in new cuffs designed to go with your most-loved jewelry collections. Christo cuffs are available in wide, narrow and slim — mix and match widths to create your own style. Interchangeable and reversible leathers transform the look instantly! Take a journey to Morocco with Brighton's latest collection, Casablanca. Featuring the exquisite beauty of Morocco's architecture, artistry, and craftsmanship, we know you are going to love it! To appreciate the Casablanca collection, we have decided to give you a behind-the-scenes look at how the Casablanca collection came to be. We will introduce you to the designer, learn about the inspiration behind the collection, and give you a sneak peek of our favorite pieces.. When Catherine began to design the Casablanca collation, she knew that all the architectural detail and beautiful craftsmanship she witnessed needed to be encapsulated into the print. She was especially inspired by the black and white tiles of La Mamounia, the grand Moroccan Palace. Not soon after she began sketching shapes, motifs, and styles, she knew that the collection had to be black and white. We hope you enjoyed the sneak peek of our Casablanca collection. To check for availability, give us a call at 714-996-3505. These pieces are going to go quick! Who says scarves are strictly a fall and winter accessory? Keep reading to see 5 ways you can wear a scarf this summer. We all know that wearing a ring on the third finger on your left means that you are married or engaged. But what does it mean to wear a ring on one of the other nine fingers? Our Love Stack, Baby Promotion made us a little curious, so we decided to do a little research for ourselves. If you are interested in learning a little about the symbolism of rings (only for fun of course), then keep on reading!